The Iberostar Grand Hotel Trinidad offers unmistakable colonial-style architecture, right in the heart of bustling Trinidad, and blends superb views of the UNESCO acclaimed city and the mountain backdrop of Escambray. The Iberostar Grand Hotel Trinidad has tasteful period décor and excellent 5 star service. 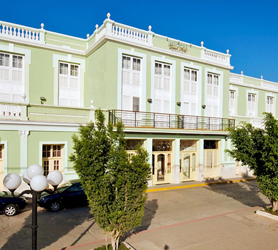 One of the diamonds in IBEROSTAR’s Colonial Collection, the Grand Hotel Trinidad, is right in the city center of Trinidad: one of Cuba’s cultural and historical nerve centers. A delectable hotel it is restricted for guests aged 15 years and older. Trinidad is rich in tradition, history, beaches, salsa, dining, and rum, IBEROSTAR offers guests a top choice in city center hotels while only being conveniently located only a few miles from the Caribbean Sea and Ancon Beach. Our booking process is unique because it shows the best rate from all of these for Iberostar Grand hotel in Trinidad and the types of rooms available. 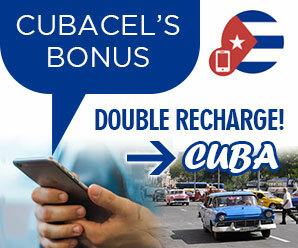 Our Iberostar Grand Trinidad rate comparison is an industry first for Cuban Hotels. Once you’ve compared the rates, finalizing the booking at Iberostar Grand Hotel takes just seconds and an immediate confirmation is provided in real-time.